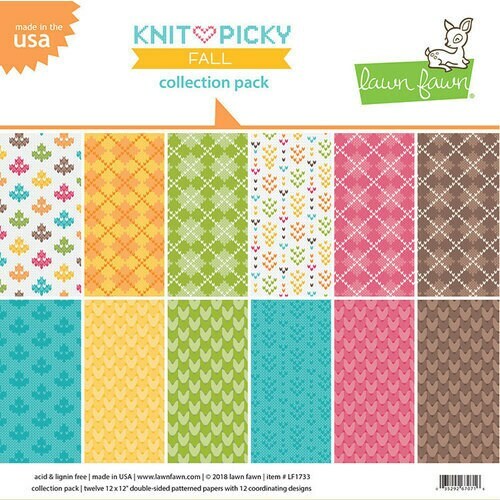 Fill your album with cozy layouts featuring papers from the Fall Knit Picky Collection 12" x 12" Collection Pack by Lawn Fawn! The package includes twelve double sided pattern papers with twelve coordinating designs featuring argyle, leaves, hearts and more. The paper is acid and lignin free and is made in the USA.